6th November 2018, London: This winter, Sheraton Grand London Park Lane will launch a new immersive experience, celebrating the hotel’s 1920s heritage. Each Wednesday night, when the clock strikes 19:20, the Art Deco lounge at the heart of the hotel, The Palm Court, will transform into a Roaring 20s party, for just one magical hour. At 19:20, The Palm Court’s lights will immediately dim – signalling the beginning of the change in era. A jazz singer will take to the floor, illuminated by a single spotlight, to perform a set list of vintage 20s songs, whilst a pair of mesmerising dancers, perform Charleston routines, adding to The Great Gatsby-esque party atmosphere. The menu will see a full makeover, with contemporary beverages replaced with stunning, classic drinks reminiscent of the Jazz Age. Customers will be encouraged to immerse themselves in the glamorous spirit for the Roaring hour, before the clocks are set back to contemporary times at 20:20. The hotel set in Mayfair is a favourite with GCC travellers due to its rich heritage as one of London’s oldest and most prolific hotels. From its heyday as the hangout of choice for socialites, celebrities and the aristocracy upon opening in 1927, at the height of the Jazz Age, the hotel has a long history of bringing people together in the heart of Mayfair. The striking bar retains its heritage with elegant Art Deco details, from a stunning stained glass ceiling, its purple and gold palette and geometric motifs, providing a perfect backdrop for the dazzling 19:20 experience. Bruno Castro, Bar Manager at Sheraton Grand London Park Lane, comments: “The Palm Court is a real treasure at the heart of the hotel with original 20s detailing, and we wanted to celebrate this. 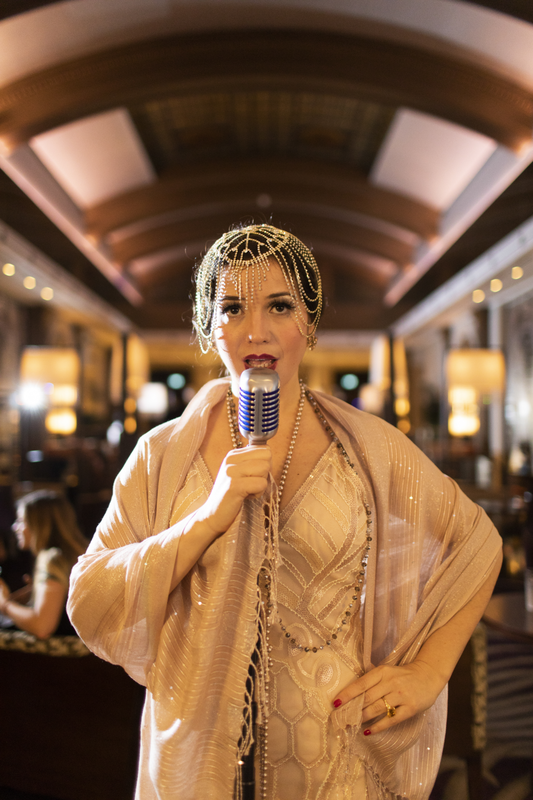 19:20 at The Palm Court is a chance to remind our guests about the heritage, by truly turning back the clocks for an all-singing, all-dancing hour of Roaring 20s glamour”. 19:20 at The Palm Court launches on Wednesday 7th November and continues every Wednesday night.